The Judea Deseret, giant cliffs, underground channels which burry deep in the ground, the ocean blue which touches the dark brown desert sand and colors its lip with white crystal salt, primal scenery and in the heart of it all- a green patch which is, Ein Gedi. The desert oasis's beauty bursts wild green over this small patch of heaven. The Judea Deseret, giant cliffs, underground channels which bury deep in the ground, the ocean blue which touches the dark brown desert sand and colors its lip with white crystal salt, primal scenery and in the heart of it all- a green patch which is, Ein Gedi. The desert oasis's beauty bursts wild green over this small patch of heaven, where one of the world's prettiest botanical gardens is. What makes Ein Gedi unique? What enables this wide range of different kinds of plants from around the world? The summer's heat and relatively calm winter alongside the areas unique climate quality enables the growth of plants, unique to this area. The minerals which are in the air allow especially rapid growth in a worldwide botanical scale. This fact helps to imagine how in such a short time (the kibbutz was established in 1956) these plants have reached massive proportions, and give visitors to this small sweet spot's visitor- feel as if he is in the midst of the jungle. The garden holds 1000 kinds of different plants from around the world, along hundred of rare miniature cacti. 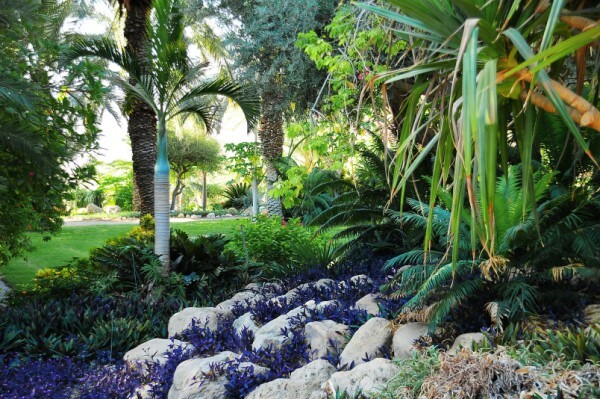 Along the tour of Ein Gedi, different types of palms, such as shade palms and sun palms, which rise up alongside miniature palm which are scattered around. Can be seen Typical trees such as olive and fig trees are also to be found here, growing alongside Madagascar, Australian and North American vegetation. Spice plants are entwined along the garden, alongside myrrh and frankincense. On the northern side of the garden, is the observation point, out of the "Arugot" club overlooking the entire oasis. The impressive Moab Mountains ahead, Ein Gedi fountains on the distance to the north, and to the foothills of Tel goren- Arugot rivers estuary (which in the winter becomes an impressive attraction). To our feet is the ancient synagogue of the ancient Ein Gedi village, which is located to the north of the Arugot estuary. 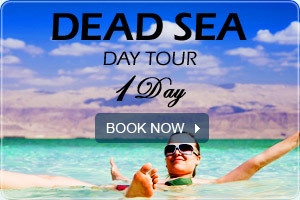 Ein Gedi is a magical oasis, with its own time, colors, fragrance, animals, people, blooms and desert surroundings. Hours of operation: April to September 30th: 8 am -4 pm, October to February 28th 8:30 am -3:30 pm. Holidays- opened for especially long hours.